One of the things I enjoy most about serving in ministry with young adults is pre-marriage counseling. 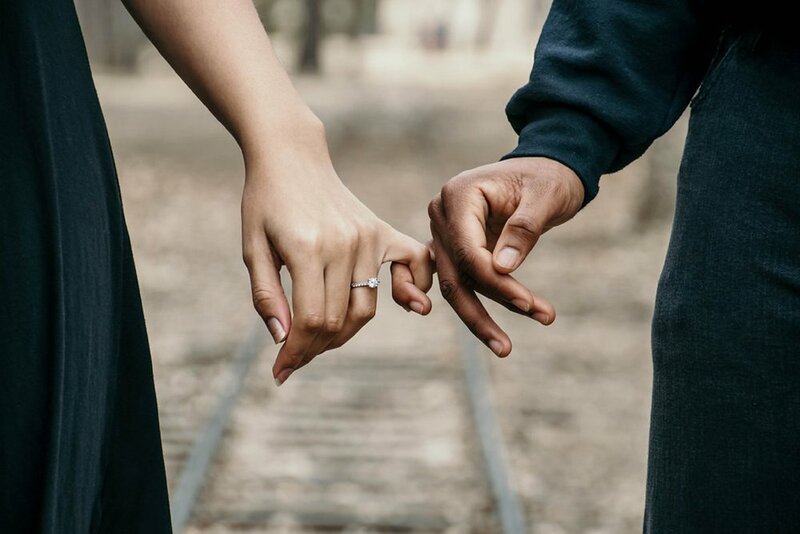 I love having conversations with engaged couples about the nature of Christian marriage and how to live well together in marriage; and, in having those conversations, my attention is always drawn to some ways I’d like be a better marriage partner myself! A book that I read and discuss with each couple in pre-marriage counseling is Tim Keller’s The Meaning of Marriage. It’s a great read, with rich, gospel-centered perspective on what Christian marriage is all about. The greatest threat to our marriage is my own self-centeredness. That has to be the best advice on marriage I’ve ever received. Keller’s advice highlights the destructive nature of blame and emphasizes our personal responsibility to live for the well-being of one another. And isn’t that advice applicable beyond marriage? Think how we would interact with the people in our lives differently if we all lived with the attitude that the greatest threat to our family, our friendship, or our church is the self-centeredness within each one of us? Keller’s advice really is great, but I’ll be honest: every time I read I feel like I’ve been punched in the gut! Our default way of operating as human beings is to put ourselves first. We champion our own perspectives and desire our own preferences. Our own self-centeredness is a real limiter to our relationships and each of us often fail to live in a selfless way. So, what is the way forward in this conundrum of desiring to love people selflessly, but feeling unable to do it? Our default way of operating as human beings is to put ourselves first. We champion our own perspectives and desire our own preferences. The way forward is in continually fixing our eyes on Jesus. In Jesus, we have the perfect example of undeserved, unconditional love (Romans 5:8). And, through Jesus, each of us who believe have the power of God at work inside of us, transforming us to become more like Him and empowering us to love one another in a way that reflects His perfect love (Romans 8:11). In Jesus, we find all that we need to love others well. Let’s make a daily habit of turning away from our sin-tendency to put ourselves first and set our eyes on Jesus Christ. Let’s remember the depth of God’s love for us in Jesus Christ and respond to the grace we’ve been given by loving one another according to way we are completely and unconditionally loved ourselves. Josiah is a Graduate of Grove City College, where he met his wife, Brittany, competing on the Track and Field team together. Josiah and Brittany were married in 2009, and then lived Tennessee where Josiah coached Track and Field and Cross Country at East Tennessee State University and Milligan College from 2009 to 2012.